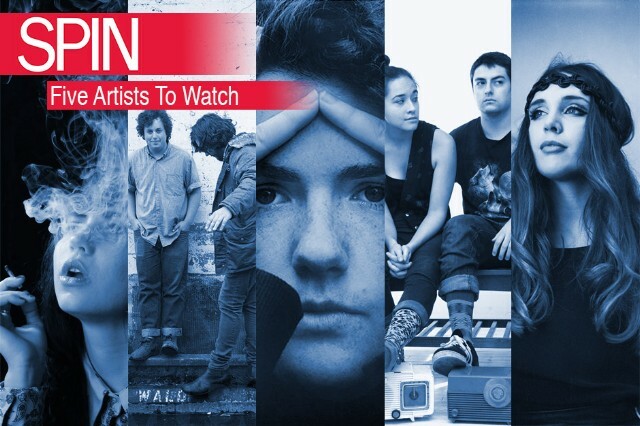 Five Artists to Watch in August 2015 – Good Music. Good Life. The last full month of summer is — incredibly — upon us, and with it comes a batch of new artists to whom attention must be paid. There’s Georgia, a Domino-signee who’s churning out music with a blend of Phantogram-heavy beats and silky singing. There’s also Pearl Charles, an enigma of a performer who presents her straightforward, beachside tunes in bundles of sadness. Without further ado, these are the five artists you need to watch in August 2015.
Who: The core of this Portland five-piece is songwriting duo Michael Finn and Leo London, who shy away from synthesized sounds in favor of gritty guitars, lo-fi drums, and breezy unison melodies. Their still-fresh self-titled debut is a heart-on-its sleeve affair, loaded with wistful tunes steeped in the tradition ofthe great American rock song. Sounds Like: Dashes of Wilco, Elton John, and From a Basement on the Hill-era Elliott Smith. Who: A London electro-pop chameleon, Georgia Barnes (sometimes stylized as GEoRGiA) got her start drumming for fellow Londoner and noted producer Kwes. Now it’s her name on the masthead and she has creative control — writing, singing, rapping, and producing her own stuff. Her talents combine to form a unique soundscape that is at once danceable, euphoric, and paranoid. Georgia’s beats bump with boiling angst — the eerie soundtrack to a youth rebellion. Sounds Like: If M.I.A. could belt. Who: The members of Marrow have their feet in Chicago’s bootstrapped indie scene but their fingers in many pies: Some have recorded and toured with Kids These Days, Vic Mensa and Chance the Rapper’s now-defunct hip-hop crew, and all of them appear on Donnie Trumpet and the Social Experiment’s Surf. Outside of the rap realm, however, singer-songwriters Macie Stewart (who also plays keys) and Liam Kazar (guitar), bassist Lane Beckstrom, and drummer Matt Carroll specialize in a harmonious cacophony of freestyle jazz, Nashville garage rock-indebted riffs, and wildly optimistic yet sardonic lyrics. Sounds Like: Shirley Manson making a surprise appearance onstage with the Districts. Who: The Stockholm songstress first enchanted us with her steamy and brooding take on Britney Spears’ classic “Baby One More Time” a couple of months ago. Her two singles — “Nick Drake” and “Civil War” — both hold signature sultriness and Banks’ brooding suspense through her pulsating production. Make sure to check out her 7” coming out on B3SCI Records onAugust 21. Sounds Like: If the eeriness of MS MR was mixed with the vocal humidity of Tove Lo, recorded in a forest under the moonlight. Who: The Los Angeles-based songwriter is the latest addition to Burger Records’ stoned stable, but unlike the majority of her fuzzy labelmates, she gets low instead of getting high. Her debut EP for the label is a dreamy and downcast affair, and Charles herself demonstrates a unique knack for turning otherwise lilting tracks into grave and harrowing ballads. If, like the rest of the Burger discography, this is beach music, then it’s meant to soundtrack the eerie nighttime stillness, with a morose Charles slinking along the abandoned shoreline under a full moon. Sounds Like: Echo and the Bunnymen in sunglasses and Hawaiian shirts.